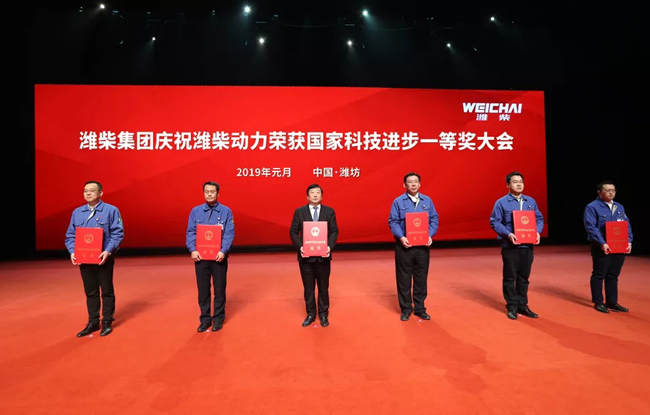 On January 12, 2019, Weichai Group solemnly held the celebration of Weichai Power winning the first prize of National Science and Technology Progress Award. Standing at a new starting point, Tan Xuguang issued a mobilization order to aim at a new round of technological innovation. 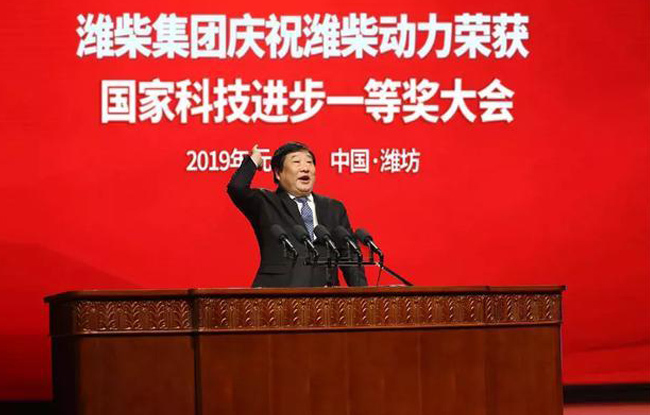 The Conference delivered what Liu Jiayi, secretary of the Shandong Provincial Party Committee, said to the Weichai Power Innovation Team on January 9th, as well as the important speech of Weifang Municipal Party Committee and Municipal Government on “Learning from Weichai Group and Tan Xuguang”. 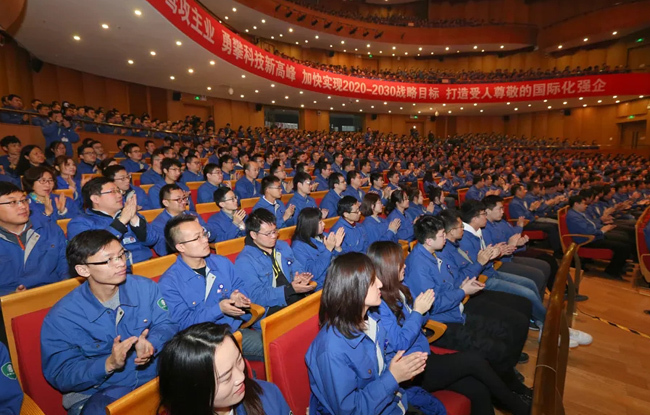 Weichai Power winning the first prize of National Science and Technology Progress Award is the glory of 90,000 Weichai people in the world and a milestone in the history of Weichai development. Tan Xuguang proposed to pay tribute to the winning project team, to all the scientific and technological workers of Weichai, and to all the people of Weichai! After 72 years of development, Weichai already has the ability challenge the world's first-class. Tan Xuguang called on all scientific and technological personnel to set off on a new journey, climb the higher peak of technological innovation, and write a magnificent chapter in life on the fertile soil of Weichai!